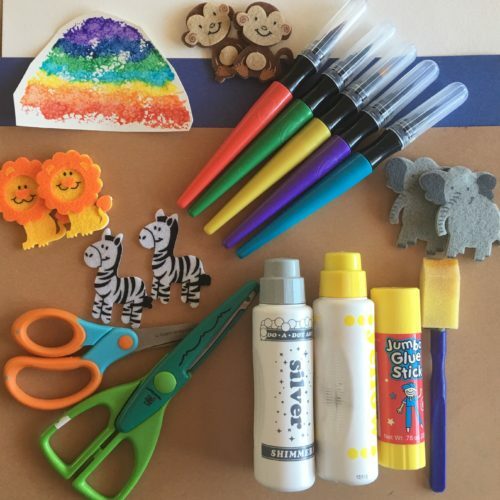 Here are two fun Noah’s Ark art projects, and six reviews on books that tell the wonderful story of Noah. Five of the books tell the traditional Bible story, and one is a fairy tale for children that has little to do with the Bible version, but is lovely as Children’s Literature. 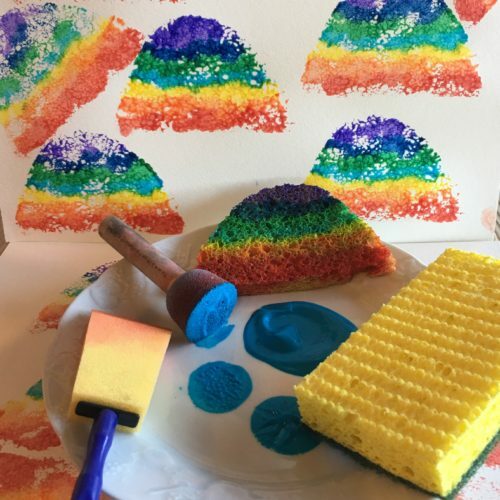 This post was first published on MomtoMadre.org. The story of “Noah’s Ark” from the Book of Genesis in the Bible has been told over thousands of years. It comes from oral tradition of a story told throughout the generations by the ancient people in the region of Mesopotamia. Years ago, I heard in a recorded lecture by Biblical scholars that many cultures from all over the world had their own “Flood Story.” The lecturer also said that enormous floods possibly occurred early in human development when an ice age began to warm up. One thing is certain, the story of “Noah’s Arc” is a favorite Old Testament story from the Book of Genesis that shows the power and might of God and tells of the the awesome obedience of a humble man, whom God found to be honorable at a time of corruption and misbehavior in other humans. God comes to Noah and gives him astonishingly difficulty and precise instructions, and Noah obeys. 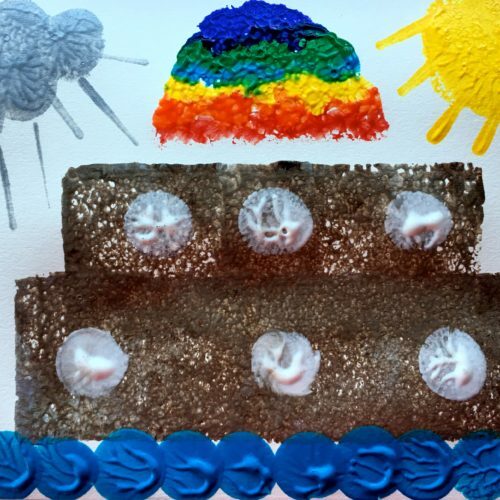 Here are six different versions that tell the ancient story of Noah and his family. The first three are exquisitely illustrated and the texts deliver the traditional story according to the Bible. 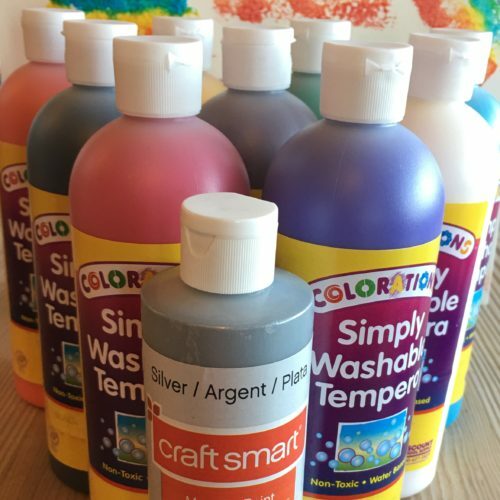 The last three are written for younger children. 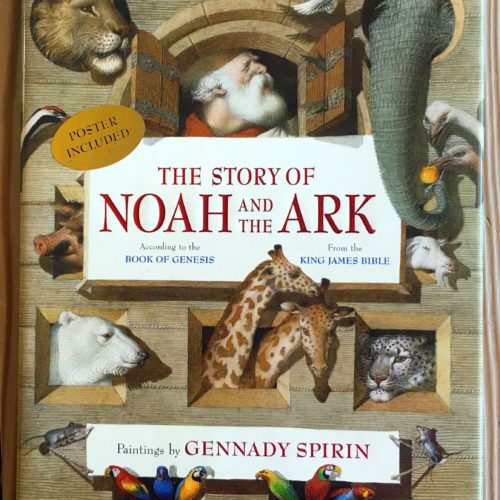 On Noah’s Ark is the only book in the group that tells the story from a non-religious point of view. 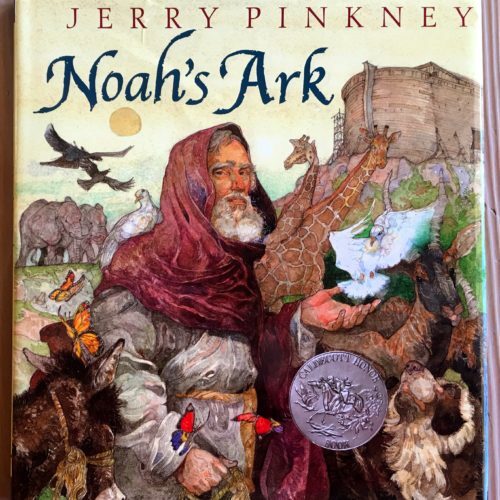 The story of Noah and the Ark is important for children to know not only for the religious significance, but also for cultural literacy. It is a story that has endured for thousands of years and is immediately recognized by the sentence, “It rained for forty days and forty nights.” There are many versions. Here are six that I enjoyed reading. 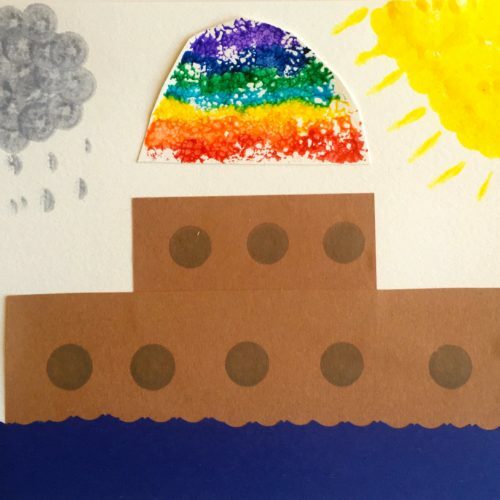 Noah’s Ark by Peter Spier is absolutely beautiful. Spiers translates a Dutch poem, “The Flood” by Jacobus Revius (1586-1658) which is printed in its entirety on one page. All of the other pages are illustrations that tell the story without words. 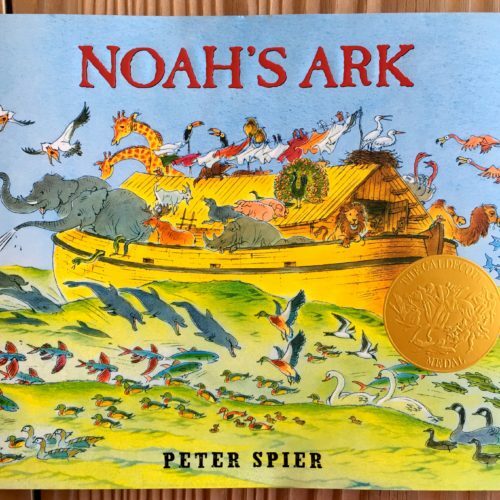 Spiers won the Caldecott Medal for Illustrations in a Children’s Book in his version of Noah’s Ark in 1978. 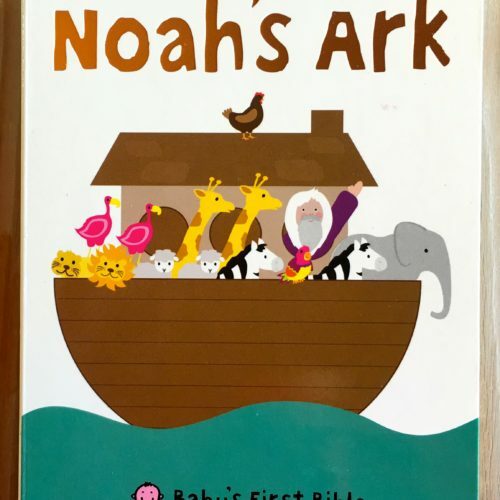 Noah’s Arc (Baby’s First Bible) by Roger Priddy is a beautiful small board book that tells the story in simple to understand language. 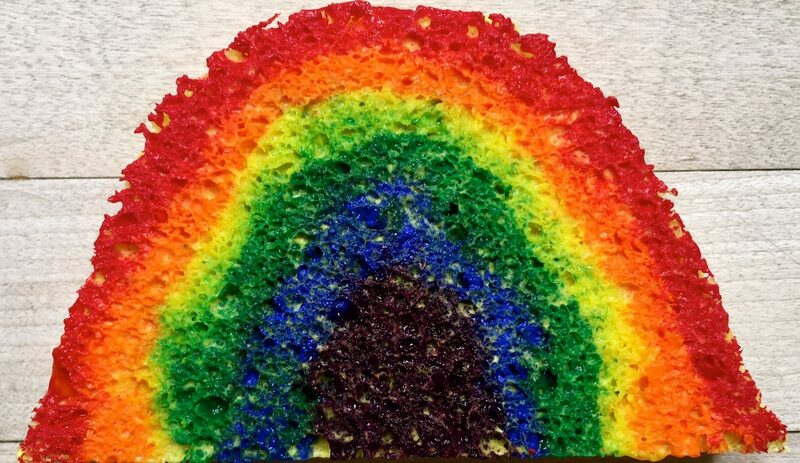 It is lovely for babies and young children. 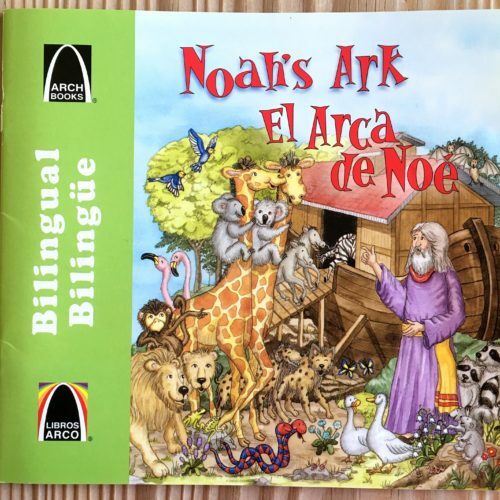 Noah’s Ark ~ El Arca de Noé Written by Carol Wedeven, Illustrated by Miriam Sagasti is a bilingual English/Spanish version of the story in rhyme. It tells the story from the traditional religious viewpoint and has lovely illustrations for children. 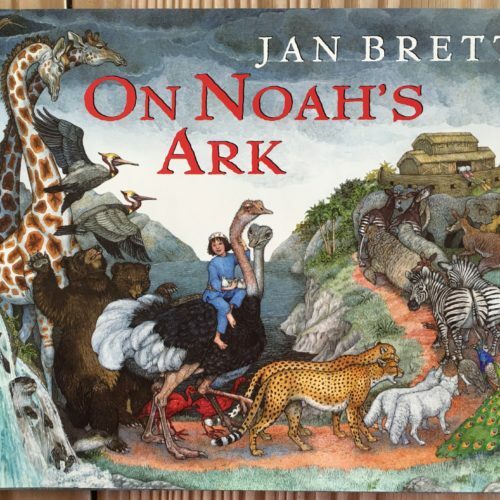 On Noah’s Ark Written and Illustrated by Jan Brett tells the tale from a non-religious viewpoint without the central figure of God. It is children’s literature, not a Bible story. 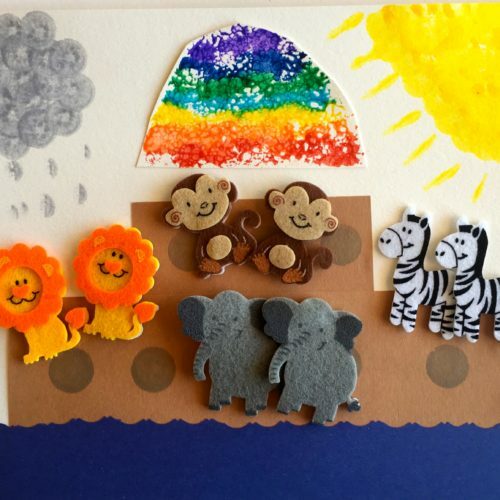 Brett’s books are beautiful, and this version of “Noah’s Ark” is told through Noah’s granddaughter as she moves amongst the animals. Brett’s intricate illustrations are always charming and intriguing. It is a delightful fantasy, with wonderful animals galore!